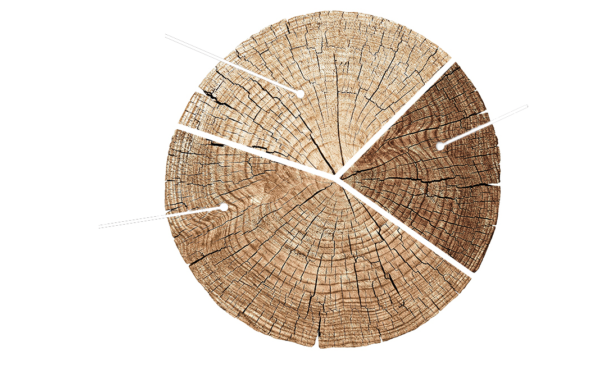 The SYNBIOMICS project is developing biocatalysts that upgrade the three wood fractions produced by pulp mills: cellulose, hemicellulose, and lignin. By upgrading, rather than degrading, these renewable biopolymers, this project overcomes major challenges of biotechnologies developed to breakdown lignocellulose structures and builds on the unique qualities of Canada’s forest resource. The optimized biocatalysts developed through the SYNBIOMICS project will upgrade renewable forest biomass to create high-value bio-based polymers for targeted applications, including resins, coatings, bioplastics, and adhesives for lightweight biocomposites. by replacing petrochemicals used in manufacturing with renewable green materials with lower toxicity and greenhouse gas emissions derived from Canada’s forests. by creating new products such as biopolymers for use in adhesives, dispersants, coatings, and bio-resins, this project will help to meet global demand for green bio-based products. by increasing the sustainable forest harvest and supporting the establishment of SME-mill clusters that will drive economic activity and job growth in rural communities. by using molecular methods to develop tools that predict and monitor the microbial community dynamics in anaerobic bioreactors. Fully bio-based substitutes of phenol formaldehyde resins (i.e. no-added formaldehyde resins) for use in wood adhesives and as UV protectants in coating formulations. Bio-polymers for use in adhesives, dispersants, and coatings. High quality microfibrillated cellulose (MFC), cellulose nanofibrils (CNF) and cellulose nanocrystals (CNC).